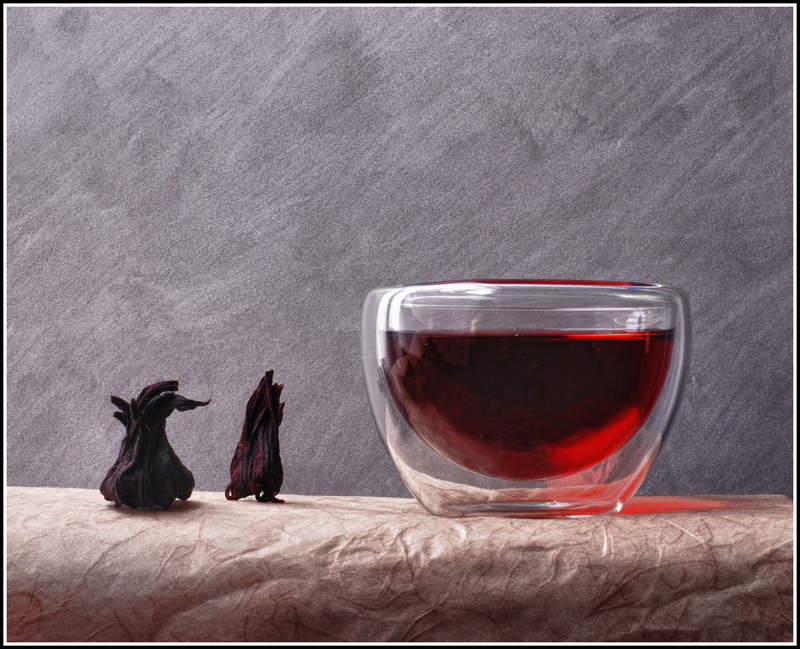 A freshly brewed Hibiscus tea with the characteristic crimson color. On the side two Hibiscus calyxes. 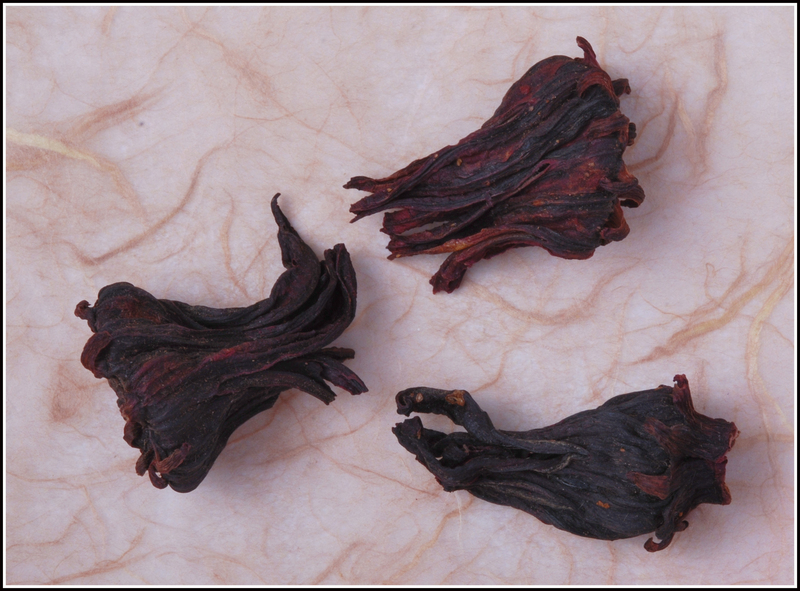 The calyxes of Hibiscus sadbariffa, or simply Hibiscus are used to make a crimson (deep red color) tea. The Hibiscus tea has different names and is consumed hot or cold in many parts of the world. Few years ago had the opportunity to work in Mexico and tasted the Agua de Jamaica which always fascinated me for the deep crimson color and the fabulous taste. It is a refreshing tea, with the proper balance of acidity. In Mexico it is served cold with sugar and a drop of lime juice. Later I found this tea in Singapore, where it is called Roselle and have enjoyed hot, the form which I prefer. Found the same tea in Cairo, where is called karkade and is sold on the streets competing with the black tea. The Hibiscus calyxes can be used alone or in mixtures in many herbal teas. Here we have three Hibiscus calyxes. These are typical size, about 2.5 cm wide and 3.5 cm long. This entry was posted in Herbal Teas, Tea Brewing Wonders and tagged Agua de Jamaica, Carcade, Flor de Jamaica, Hibiscus tea, Jamaica Tea, Karkade Tea, Roselle, Roselle Tea. Bookmark the permalink. ← It’s Turkish Tea Time!